Kleefeld on Comics: Link-Blog: The Feature! Leipzig University of Applied Sciences grad student Mia Wiesner is working on her dissertation on U.S. digital comics. To that end, she's conducting this short, anonymous survey to help identify reader expectations. It only takes a few minutes, and I'm sure she'd be appreciative of your help. 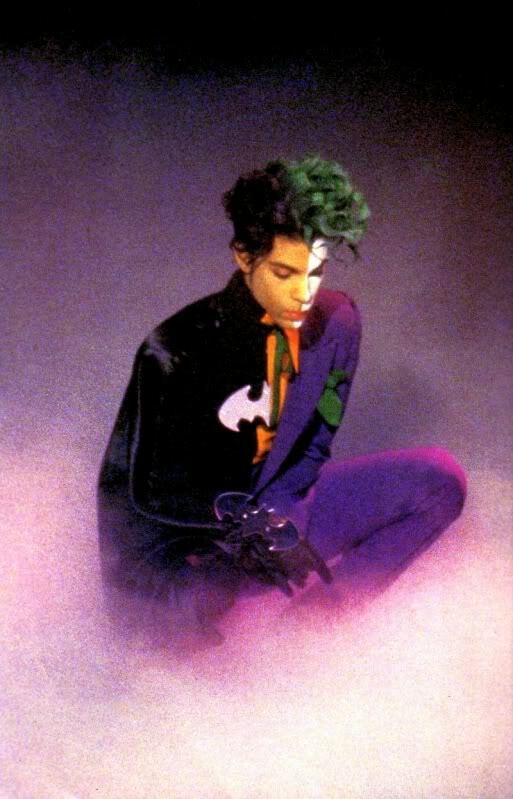 Do you recall that bizarre Batdance song Prince recorded for the first Tim Burton Batman movie? That was actually a replacement for a song he wrote entitled "Dance with the Devil." It was allegedly pulled because Prince thought it was too dark, and it's never formally been released. A Prince fan called "abelflexes" posted a little over two minutes from the dropped song with a fan-made video. Even though we don't hear the complete version, it seems to me a much better and more appropriate tune than Batdance (which I'm refusing to link to). I just stumbled on Shawn Swanson's Raaarr! blog, which focuses on marketing comic books. As far as I can tell, he just started it a few months ago. I don't know that I agree with everything he's saying/doing there, but there's quite a lot there that is useful and I'm sure a lot of comic creators could benefit from. Nick Barrucci has held some level of fascination for me for over a decade now. In large part because I'm astounded that he's been as successful as he's been for as long as he's been. He's clearly doing something right, but I'll be damned if I know what that is. No disrespect intended towards him, but I would've predicted he'd had to switch careers years ago. I give him a LOT of credit for being able to do what he's doing. So it's in that mindset that I read ICv2's recent three-part interview with him with interest; they cover Barrucci's current thoughts on most business aspects of the comics industry. "Do you recall that bizarre Batdance song Prince recorded for the first Tim Burton Batman movie?" Dude, nice find. I actually have the '89 movie on DVD and watch it occasionally, is "Batdance" even in the film? I can't recall where, and it seems like I can't have given specific, conscious thought to that bizarre, indeed, tune in more than 20 years. And yet now, I can recall hearing it quite often for a while there. Weird. I believe only one of the songs from that whole album shows up in the film. It's during that parade scene where Nicholson is dancing on the float throwing money around. In fact, I believe Nicholson insisted that the song be played while they were filming (as opposed to having it dubbed in later) so he could dance to it appropriately.